Being thankful is and always will be an important part of my journey both personally and professionally. Lately I have really been practicing acknowledgement for where I have been, where I am now and where I am going and being grateful for all that has occurred to make me who I am. I am even thankful for things that at the time I did not think I wanted to happen that only lead me on a path to something better. I truly believe when one door closes (even if you did not close it willingly) another door OPENS if you allow it to! When we lived in Columbus, Ohio we were robbed when we were all home and it rocked me to my core and made me question my "security". It was that robbery that moved me to my home here in Hudson, Ohio and MOVED me to the beginning of my current state of being which is even more secure than what I thought I had. The point is, I am even thankful for the robber and say, "I had to be robbed" so only then could I know what is MINE to protect. My husband, my daughters and I have started a gratitude journal in which we all write something we are thankful for each day. It is also a dinner ritual. I love what we all come up with and my husband and my children are very thoughtful with their answers - yeah! When we are thankful we only get more things to be thankful for! 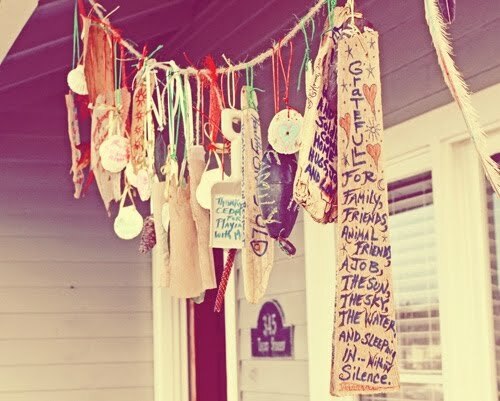 This gratitude garland I found on Pintrest and LOVE it! 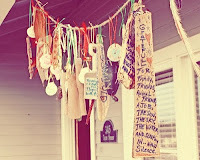 It is such a cool reminder for us to be thankful and I think it looks so neat! You should consider making one of your own or if you have kids, have them participate as well. THANK ALL OF YOU for reading and supporting me as it only feeds my spirit to keep on creating! 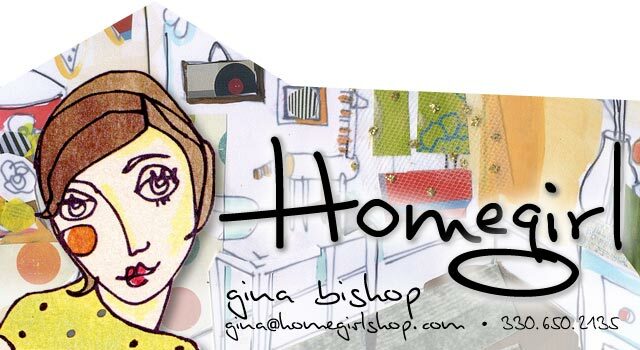 Gina... what a great post! And I love that you all write something down each night at dinner that says what you are grateful for. When the boys were little, our ritual was "Tell me what was the best part of your day!" Each one would take some time to think and, like you, I loved hearing their answers. Now that we are empty nesters, you just triggered a thought that perhaps my husband and I should do that... just the two of us! Thanks for the reminder!